Since my last blog, Short Selling Syncro, an ex-employee has contacted me to place the blame for the early demise of Syncro firmly with BAe. The Cowley assembly halls where 600 and 800 were built had been sold off to developers at a vast profit. Money which, sadly, wasn’t put back into Rover Group. This meant that all future assembly was concentrated into a smaller building, the ex-PSF building. Now that BMW was in charge, the German company could decide to chop a model from the large car line-up with the move. It was an easy decision for the Germans – Syncro was costing more to build now that Honda had legally and entirely legitimately renegotiated the licensing fees for its hardware. There was the residual debacle explained in my previous article and the general feeling among Rover employees that the 600 Series could be classed as a credible threat to the BMW 3 Series. The men from Munich wouldn’t be having that. It is said that 100mm was chopped from the 75’s wheelbase to give credence to the line that 75 was replacing both 600 and 800 and that, in turn, expalins why 600 was quietly dropped. The Rover 600 had been praised by the Press throughout its life. I clearly remember discussing the car with Clarkson in 1993/’94, when he was full of praise for it. Indeed, only the brilliant LJK Setright criticised the car when compared to its Honda brother on the ground that its bushing was softer. With regard to manufacturing and service, it had a good run as its faults were few. There was the window regulator issue, something which would also affect HH-R throughout its long run too. Not the end of the world by any means… There had been a batch of faulty engine blocks on the Prelude-donated 2.3-litre unit, stemming from its advanced ceramic and aluminium bores. There was also a slight concern over head gasket failure on the 1850cc version, but I never encountered this. Finally, there was the issue of rot developing around the rear wheelarches. This was down to Cowley’s lackadaisical attitude when it came to wax protection. This was par for the course with that lot: look at Maestro sills for evidence of knowing of an issue and failing to rectify it. Laser body alignment? That’s another story. 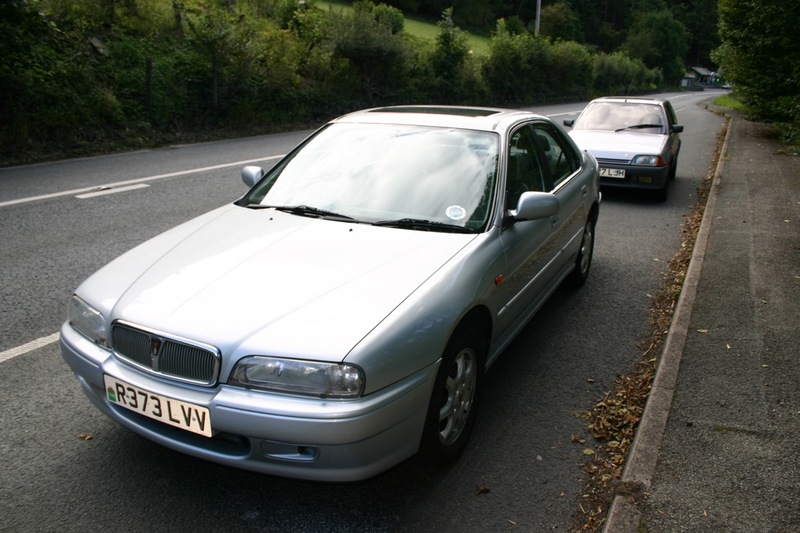 The Rover 600 was overpriced for manufacturer and purchaser, giving rise to slow sales, and was viewed by the money men from Munich as a threat from within. Rover crazily shied away from the Mondeo market with the 600 – I imagine, though, that George Harriman would have appreciated the move. Sadly, the 600 never made the transition to the other side of the Oxford ring-road following its assembly building’s closure. The car had a short run of just five years. Its legacy was genuinely nice styling, the best home for the BMC-based Turbo T-Series and it showed that Rover could make world-beating diesel engines. Its centre air vents lived on in the 38a Range Rover and that’s it. 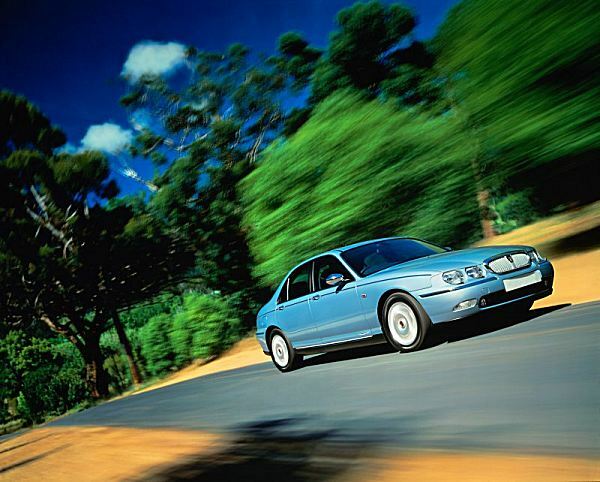 The Rover 75 turned out to be a whole new ball game and boasted of body stiffness of some 2.5 times of that given by Syncro. Heritage continued is as much as both cars shared the same ARG boot lamp and both spare wheel wells would fill with water, but that was as far as the commonality went. More book talk : it’s back in stock but what next? 4″ chopped from the 75 wheelbase? If true, that would explain why it always reminds me of those stunted SWB fire engines that used to be stationed in British villages. The 75s narrowed back end seems to arrive too soon after its bloated front, looking as though there’s insufficient space for the lines to develop properly. Even in the world of IT, after a takeover it makes sense to get rid of as many licencing terms and revenue being directed to the competitor’s portions in your product as soon as possible. Simple case of maximising revenue. As much as I despise BMW, their cold business logic did make some sense. It doesn’t sound as if LJK was that brilliant.